2019 – Our 33rd Anniversary Year!!! Check out our new FAQ (Frequently Asked Questions) page! Thank you for your support! CDM is an IRS registered 501(C)(3) charity. Click the YouTube logo and check us out on YouTube! We are now on Facebook! Join our growing fan page by clicking on the image below!! Introduce disabled musicians to each other who have an understanding of disability-related problems. Give access to an accessible rehearsal and recording studio. Create “tag-team” systems and other adaptive techniques for pain, endurance, and other limitations. Set up studio and stage bands for amateurs and professionals. Hold live performances, produce recordings, and hold music workshops and seminars. Promote public awareness of the disabled community as a great reservoir of talent and ability. News for Web Surfers and Shoppers…Scroll Down!! In addition to our local music endeavors and our internet involvement, we are happy to announce that we recently assisted a disabled musician who lives in Tennessee. In addition to his disabling condition, he is also still displaced by the tragic hurricane Katrina. When his electric guitar recently shorted out and with no funds to replace or repair it, he contacted us for help. Luckily, we were able to turn to a small pool of donated instruments in our studio, found a suitable replacement for him and shipped it right down to him. He is extremely happy to be fulfilling his dream and playing again. Copies of his correspondence with CDM can be found on our Fan Mail page. 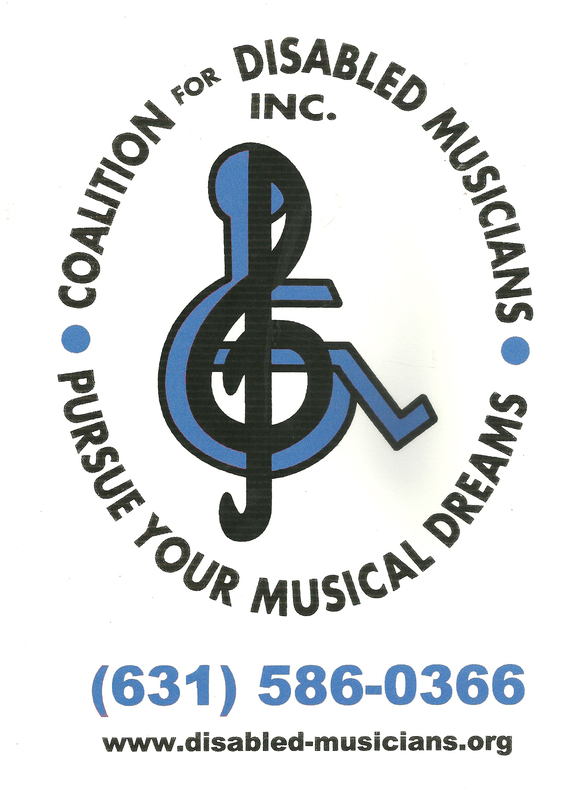 We are most grateful for their assistance in our mission of enabling musicians in pursuing their musical dreams! Thank you for your support! For 2012 – CDM purchased an Apple laptop computer with video editing capabilities. Great News for Surfers and Shoppers!! 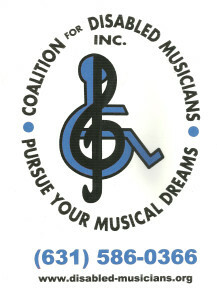 What if the Coalition for Disabled Musicians, Inc. earned a donation every time you searched the Internet? Or how about if a percentage of every purchase you made online went to support our cause? Well, now it can!GoodSearch.com is a new Yahoo-powered search engine that donates half its advertising revenue, about a penny per search, to the charities its users designate. Use it just as you would any search engine, get quality search results from Yahoo, and watch the donations add up! Alternative for ONLINE SHOPPERS – CDM has been accepted as an associate with Amazon. If you just want to go straight to Amazon.com, click through the on the link below and make a purchase and CDM will earn a percentage.